Even an impeccable provenance, meticulous cataloguing and realistic estimates do not necessarily guarantee success when it comes to auctions these days. That was evident from the outcome of the sale of Thonet and other bentwood furniture at Van Ham (29/25% buyer’s premium) in Cologne on January 22. On offer were some 200 pieces of furniture, mostly chairs, accompanied by historical documents such as price lists and adverts. They were all part of the collection amassed over the last 30 years by the German and philosophy teacher and internationally acknowledged Thonet expert Wolfgang Thillmann. During recent years, most of the pieces on offer in Cologne had been shown in exhibitions in Leipzig, Vienna and Neuwied. The auction covered the history of the Thonet Company, which was founded in the German city of Boppard in 1830 and transferred to Vienna in 1842. It was there that Michael Thonet developed his iconic Coffee House chairs which were – and in many cases still are – an indispensable fixture in Vienna, a city famous for its cafes. The catalogue has become a work of reference in its own right, with a history of the company and illustrations of the various marks and signatures used over the decades. The viewing dates coincided with the Interior Design Week, which has been held in Cologne every year since 1990, so as to attract as many potential buyers as possible. In the run-up to the sale there was considerable media interest and it looked as though the auction was going to be a roaring success. In the event the bidders turned out to be extremely choosy and at the close only half the lots had found buyers. As the auctioneers explained afterwards, there is only a very limited number of furniture collectors and many of the pieces were of historical value and many no longer suitable for everyday use. On the other hand, several museums used the opportunity to add pieces to their collections, some anonymously, others proud to publicise their purchases. Among the successful bidders were the Kunstpalast Dusseldorf and the Historical Museum in Sankt Gallen. The former secured a beech bentwood Sessel (chair) Nr. 1 for a top-estimate €3000 (£2630). It was jointly designed by Michael Thonet and Peter Hubert Desvignes, a British architect and designer who had studied at the Royal Academy of Arts before moving to Vienna in the late 1830s, where he cooperated with Thonet. The Kunstpalast also bought a Salontisch (salon table) Nr. 1, manufactured in the early 1880s after a design from about 1866. This was one of the rarer pieces of Thonet furniture, which after all had made a name for itself through the application of mass-production methods. In 1885 only 245 of this model were produced in Vienna. The hammer fell at €4800 (£4210), double the lower estimate. 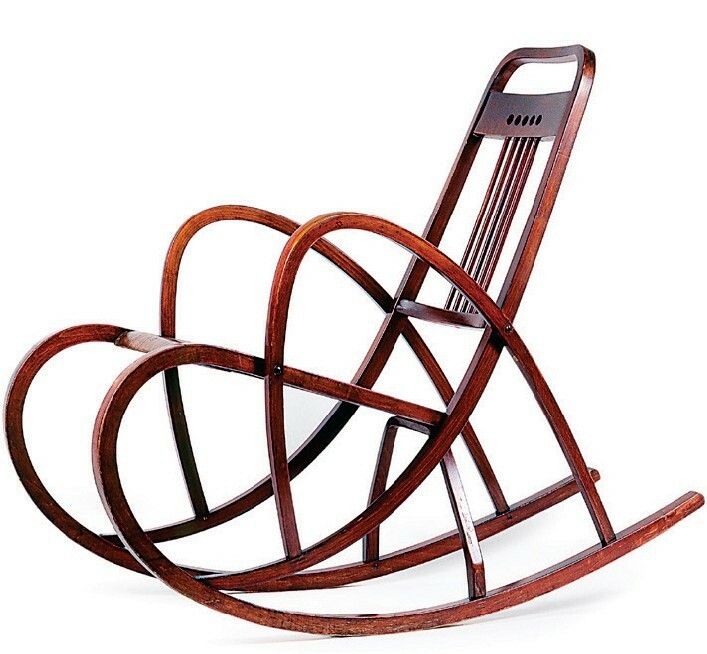 The Dusseldorf museum also carried off a Schaukelfauteil (rocking chair) Nr. 511. This chair of distinctive form was first introduced in August 1906 and was manufactured in Thonet’s factory in Bistritz in what was later to become Czechoslovakia. This particular example left the factory sometime after 1918 and was expected to bring €2200-2800. Bidders in the room and on the phones pushed the price to €8500 (£7455), which was also the top price of the sale. This Schaukelsofa (rocking sofa) from before 1880 was secured by an Austrian collector for a lower-estimate €6800 (£4860) at the Van Ham auction. A Schaukelfauteuil (rocking armchair) Nr. 3 with cloth seat, back and armrests, datable to 1870-80, found a new owner in the room for €3500 (£3070), almost double the lower estimate. The Historical Museum in the Swiss town of Sankt Gallen set its sights on a pair of tubular steel and beech wood chairs, designed by Marcel Breuer in the 1930s, which went over the upper guide to sell for €2400 (£2105). Among its other acquisitions was an undated 15 x 11in (37 x 28cm) poster for Fratelli Thonet, Mobili di Legno Curvato in the Via S. Raffaele in Milan, which was the subject of frenetic bidding and a price rise from €50 to the hammer of €750 (£660). Both pieces will be shown in Sankt Gallen from November in an exhibition titled From Jugendstil to Bauhaus. One of the earliest models for sale was the Fauteuil (armchair) Nr. 1 with elegantly bent armrests and back. 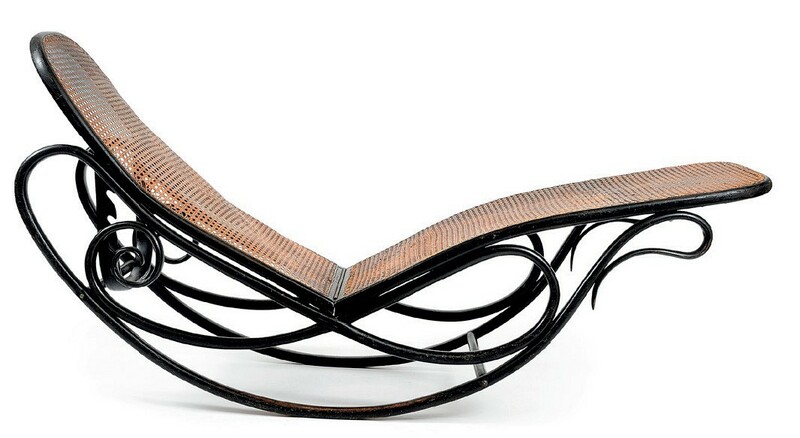 The use of particularly thin pieces of bentwood was an indication that this chair was manufactured in the 1860s. It went above the guide to sell for €2000 (£1755). Other early and rare pieces surprisingly failed to find buyers. Among them were two of the only six extant examples of the Sessel (chair) Nr. 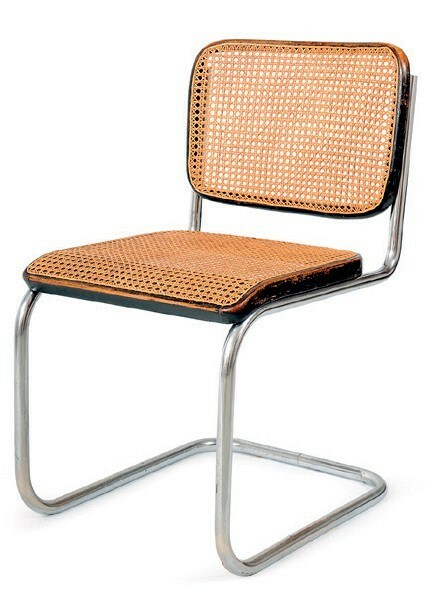 3, another joint design by Thonet and Desvignes from 1846-49. One showed considerable signs of wear, but both were in the catalogue at €6500 apiece. Equally rare were two early advertising posters with illustrations of numerous models, one from 1867 and one from 1873. The only other example of the latter, which was produced for the American market and was important documentary evidence for the early international connections of Michael Thonet’s company, belongs to the Victoria and Albert Museum. The estimates of €7000-8000 for each poster proved to be too ambitious for today’s market. In contrast, several bidders competed for a doll’s cradle (Puppenwiege Nr. 1) from c.1890, which more than doubled its guide to sell for €1900 (£1665).